What makes a driven entrepreneur want to own a HealthSource franchise, and how did we become the most successful health and wellness system in the world? Our secret: By implementing proven business systems, training and marketing we are able to combine four, multi-billion dollar industries under one roof! Think about it for a minute - you drive by dozens of massage clinics, chiropractic clinics, vitamin & supplement shops, weight loss centers, and physical therapy practices every day. Most are doing well. 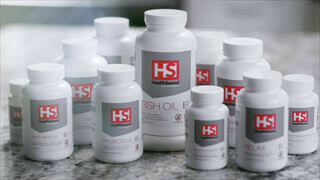 But, and this is a big but, they are all focused on providing one facet of holistic health to the customer. And that is the miss. At HealthSource, we don’t believe your customers should have to drive around town to get the care they need - keep them in your business, service all of their needs, make the money you want, and become THE holistic care provider for your community! Own a piece of the booming, holistic care industry? Make the money you are worth? If you answered 'yes' to any of the above, keep reading! What makes a HealthSource clinic a super clinic? Let’s be upfront: there are lots of ways to make money in health care. Most businesses, like ours, are recession resistant. We have an aging population that wants to enjoy life and a booming, health focused millennial generation! But, not all money will afford you unlimited income opportunities AND a business you can be proud of…one that doesn’t take advantage of your local community, but one that truly them. We take the pain out of business ownership so you can take the pain away from your local patients! With over 11 years under our belt helping our owners achieve success, HealthSource is the leader when it comes to supporting our franchisees and their investment. We’re talking around-the-clock support with everything from marketing, to compliance, insurance, training, coaching...you name it, all from the best in the industry. Your first real introduction to HealthSource will begin at HealthSource University, where you and your team will learn the details about how to operate the most efficient and successful holistic clinic in the world. Online webinars, a training document library, and pod trainings with other clinics so that anything you could every wonder about can be answered in an instant. Weekly, high-energy trainings that keep the entire team’s mind sharp and prepared to always do what’s best for each and every patient that walks through your doors. Constant updates from our corporate specialists on changes in the industry (which happen daily! ), ensuring that you’re always collecting what you should. An annual, 3-day National Conference where each owner and their team come to train, congregate, and kick back with their brothers and sisters in the HealthSource Family. HealthSource® is currently accepting inquiries from the following states: Alabama, Alaska, Arizona, Arkansas, California, Colorado, Connecticut, Delaware, Florida, Georgia, Hawaii, Idaho, Illinois, Indiana, Iowa, Kansas, Kentucky, Louisiana, Maine, Maryland, Massachusetts, Michigan, Minnesota, Mississippi, Missouri, Montana, Nebraska, Nevada, New Hampshire, New Jersey, New Mexico, New York, North Carolina, North Dakota, Ohio, Oklahoma, Oregon, Pennsylvania, Rhode Island, South Carolina, South Dakota, Tennessee, Texas, Utah, Vermont, Virginia, Washington, Washington, D.C., West Virginia, Wisconsin, Wyoming.